I wrote the following post for my cyberpunk newsletter, Exolymph. I’m cross-posting it here because the topic is relevant to other subjects that I’ve discussed on this blog. 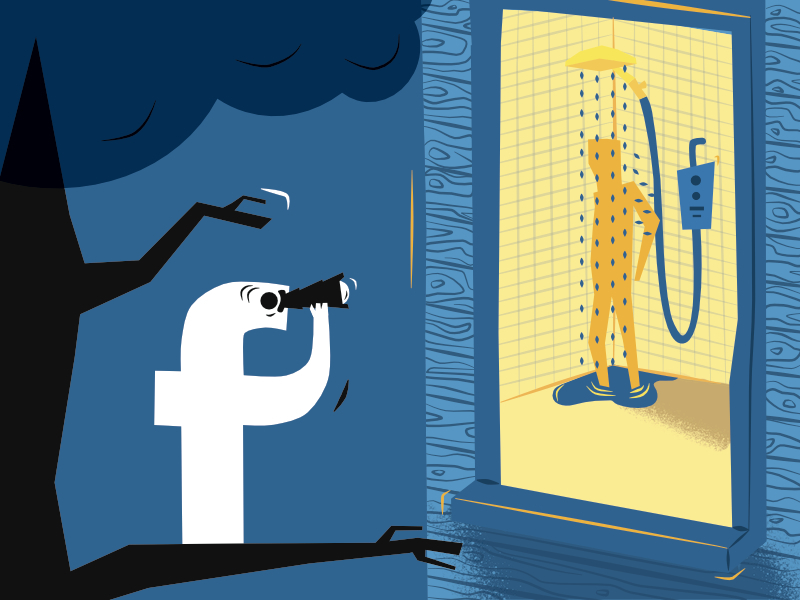 Facebook Vs. Privacy Remastered (2015) by Alex Strange. Reading about operational security has turned my mind toward privacy rights. Opsec tactics are concerned with shielding information from enemy access — mostly through rigorous, consistent caution. As the Animal Liberation Front put it in one of their direct action guides, “True security culture requires a clear head, a rational mind, and personal self-control.” The assumption made by savvy opsec practitioners is that all data will be compromised eventually. Therefore, they aim to minimize the inevitable consequences. I used to disregard privacy. My attitude was a classic: “If you’re not doing anything wrong, then you have nothing to hide!” (a viewpoint refuted very well by Robin Doherty). The problem is that even people who are acting ethically can run afoul of the law or be persecuted by the authorities. Consider how the FBI treated civil rights activists in the 1960s. 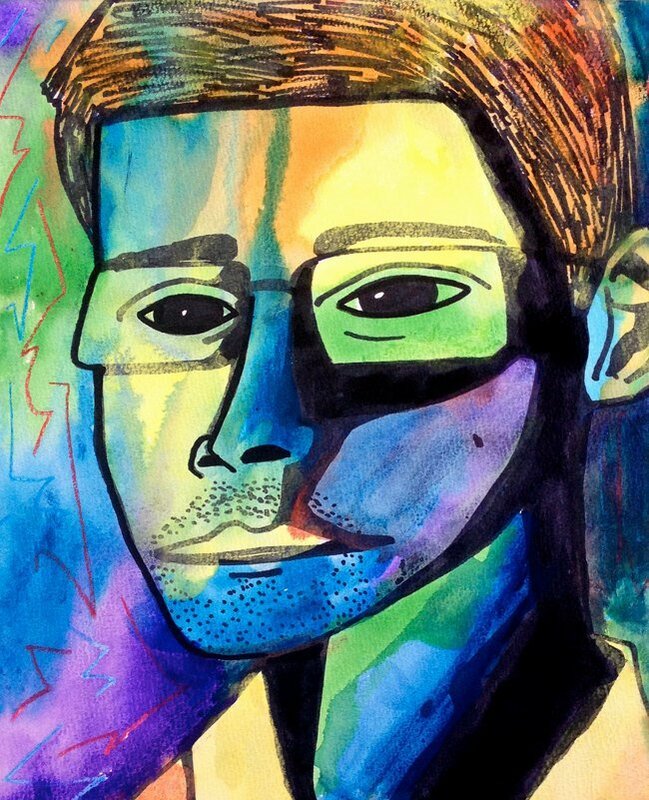 Current mass surveillance by the NSA and similar government bodies is equally worrisome, as is the treatment of whistleblowers like Chelsea Manning. I’m not naive enough to think that this behavior will stop. People do anything that they are physically or technically capable of doing in order to access power — especially state agents. I’m still not convinced that privacy should be a guaranteed legal right, or if so, to what extent. The best way to restrict your own information is simply to be secretive — stay quiet and maintain the impression of insignificance. After all, the vast majority of day-to-day privacy compromises are self-inflicted, simply because most people don’t care. That’s how Facebook and other social networks manage to compile detailed dossiers on their users. Exolymph is a cyberpunk newsletter — go check it out.